A night to shop locally in downtown New Denver! 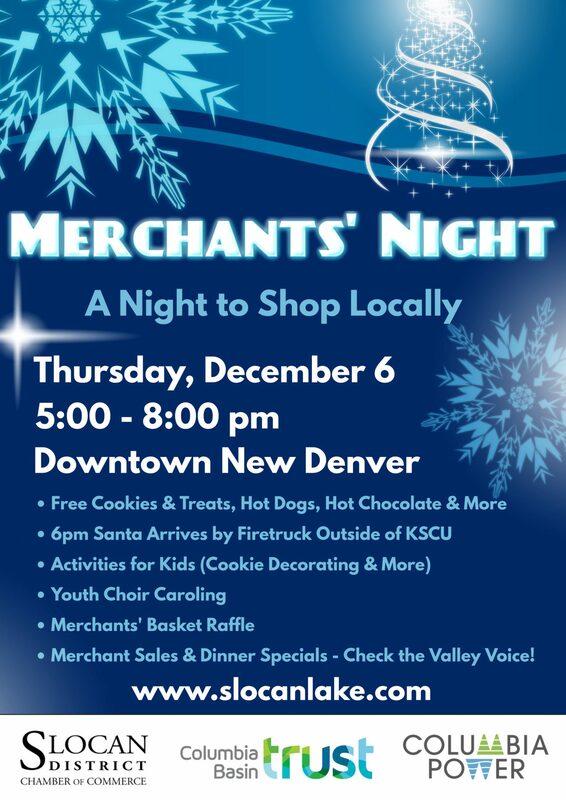 Thursday, December 6 – 5 pm to 8 pm. Support your local businesses. Also check out the Calendar of Events for more exciting December community events.